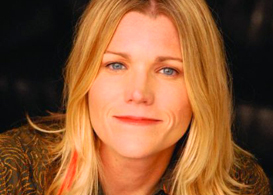 Press Pass LA had the opportunity to sit down with critically acclaimed, Grammy nominated musician Cathy Richardson to discuss her extensive career. As the leader of the reunited Jefferson Starship and her own Cathy Richardson Band, she has made a name for herself as one of Chicago’s best local musicians. But Richardson’s talent spans beyond simply music. She is also an actress, designer, wife, and mother. She sat down with us to talk about how she balances family life with her career as a rock star and how she got the life she always imagined. PPLA: Are you currently on tour or are you at home now? CR: I am home for three weeks then I am back on the road. PPLA: I know you have a baby girl at home, does she travel with you? CR: No, she doesn’t travel with me. She is only one so she is too tiny to come with me. PPLA: How hard is it being on the road and away from home and the baby? CR: It’s really hard being away for so long and being on the road. Thank God for Skype because I am able to check in everyday. It’s been really hard being in Europe with the time difference, but it worked out where I stayed up really late and I would catch her during her waking up and going down for her naps. I got to talk to her for a few times a day, but being gone this time for a month is a really long time to be away. But I can’t just stop doing what I do. I don’t think that would be a good example for her. PPLA: You were in the off-Broadway show Love Janis. How did it feel playing Janis Joplin and what steps did you have to take to become her? CR: When they first approached me with this I tried to talk them out of it because it was such huge shoes to fill, and I didn’t think I sounded enough like her. They told me they didn’t want someone that could do an impression of her or simply sound like her. They told me they wanted someone with the same spirit and energy, a real singer not an actor who is like Janis in their real life. So I said ‘okay’, but I took it really seriously. I wanted to portray her as accurately as I possibly could. I got better at it over the years. I just listened to her music constantly and got a hold of every piece of video that I could get of her to capture her mannerisms, her stage moves, and her laugh. I tried to give people the best version of Janis that I could do without doing the straight impression. PPLA: You came into the band Jefferson Starship in 2008. How did it feel coming into a band that has been around for many years and has a huge fan base behind them? CR: I’d known them for about a year before I joined the band. I was out on tour with Big Brother and the Holding Company and a bunch of 60’s bands and Jefferson Starship was headlining. I got to know them and knew what the gig was about. I was such a huge fan or Grace Slick and Jefferson Starship growing up. I don’t just sing Grace’s songs; I sing Marty’s songs and Mickey’s songs as well. It is a very ensamble type band with a lot of three part harmonies. It is a really cool project to be a part of; to be with a band with a long and sorted history, a band with so many people coming in, different eras, different sounds. From Jefferson Airplane and on, so many people came through. They have evolved and changed so much, and it is still like that even though we are playing some of the old songs. They bring on a new life with the new people that come and play them. PPLA: What is your favorite song to sing with Jefferson Starship? CR: Right now we just started revising the song “Connection”. It is a song on Nuclear Furniture made in 1984. It was the last Jefferson Starship album before they jumped and Paul and David left the band. It is a really timely song. It has several different musical movements. It’s about religion and religious war. It is so timely especially with everything that is going on right now, and we went to Israel this month and we played that song. I don’t think they have played that song since the 80’s and if felt so powerful and the words felt so powerful. So I am really excited about bringing that song back. PPLA: With your solo career and your music, what inspires you? CR: The process has changed over the years. I used to just sit there and wait for lightening to strike and at a certain point that stopped happening. So now I sort of find myself sitting down and forcing myself to write- not like it’s a chore, it is more of finding that space. When I was younger, I was very ambitious and I was constantly thinking about my career and singing these songs and making these records. Later on, my focus kind of changed to singing and performing and not so much writing. Whatever you are focusing on is what you draw to yourself. But I do believe I write better songs than I did back them. A lot of times I will keep a journal and write in a stream of consciousness and then forget about it. Then later when I am looking for lyrics, I will flip through it and it will work with what I am writing about. 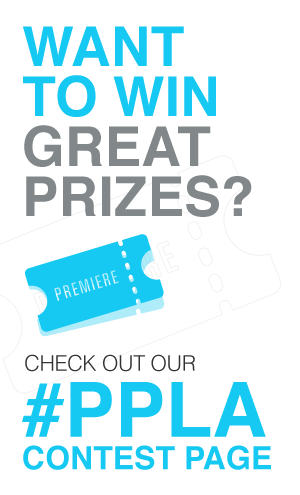 PPLA: Are you becoming a designer? CR: My wife and I have a line of Yoga clothes. We started the company together. But now I have become this touring rock star, so she took it over. It is called Shining Shakti. Our pants are organic cotton and hand tie-dyed. They are all made in the USA and organic. They are really funky and cool. Paul wears them all the time on stage. PPLA: So what is next for you on the horizon? CR: Zach Smith and I are working on our second Macrodot record. We have four or five songs written for the next project. I have some solo stuff that I have been kicking around for a few years. It is so expensive to make a record. I use to make a few jingles and make a lot of money doing that and I used to use that money to finance my albums. That has changed which is why I haven’t been cranking out albums like before. I think a lot of people are running into that. We have considered doing the crowd sourcing option, but it feels weird to ask my fans for money. I’ll figure it out and get them out somehow! These days you don’t need to do an album, just sell a lot of singles until you can put an album together. With the Macrodots we spent a lot of money in the studio and not in the packaging. I was nominated for a Grammy for my packaging (Best Recording Package for Road to Bliss). I had the funds to put into the packaging and artwork, but the digital age makes it easier to put your work out there. PPLA: Do you have any advice for younger women who want to become performers? CR: When you’re getting into music your parents will tell you that music is hard and to have something to fall back on, but if you do that then you will fall back on that (and it will take you away from your music). If you plan to do something with your life then do it. Find a way to get it done. Believe in yourself. I believe in the law of attraction- what you believe and what you focus on is what will happen. I just believed I was going to be a rock star and nothing else. That was all I was going to accept for my life. It certainly didn’t happen the way that I thought that it would, but when I look back on my life I can say ‘WOW’ look at all I have accomplished. Remember, you can say what, but you can’t say how. The universe works that out and it usually is completely different than what you expect. Visit Cathy Richardson Band. ‘Like’ Cathy Richardson on Facebook. Check out this personal video from Cathy on tour with Jefferson Starship.